So, recently my inbox and DM's have been flooded with same question: how did you pull off two moves (old house to apartment, apartment to new house) and a renovation while pregnant and staying home with a toddler. And honestly, the answer is somewhat simple: I've had to prioritize...and ask for help. But here's the rub: I'm not a natural at asking for help. In fact, I hate asking for help. I like to do things myself and on my own timeline - and while that has definitely served me in the past, I had to admit that there was no way I was going to be able to pull all of this off solo this go 'round. So, I set small goals for the move-in portion of our new house: in the first weekend I wanted to have my son's bedroom completely set up and our temporary master bedroom and bathroom livable. And I wanted our kitchen completely unpacked and organized within one week of moving in. I managed to get the bedrooms in working condition but I couldn't look at all of those kitchen boxes without feeling overwhelmed and physically exhausted (and afraid of pre-term labor!). Thankfully, I managed to put my help-asking issues aside and called Lauren, the Upstate Clutter Coach, to rescue me. And rescue me, she did. Before I started researching who could bail me out of my moving/kitchen/nine months pregnant situation, I really thought of professional organizers as the brave souls who tackle hoarding projects. 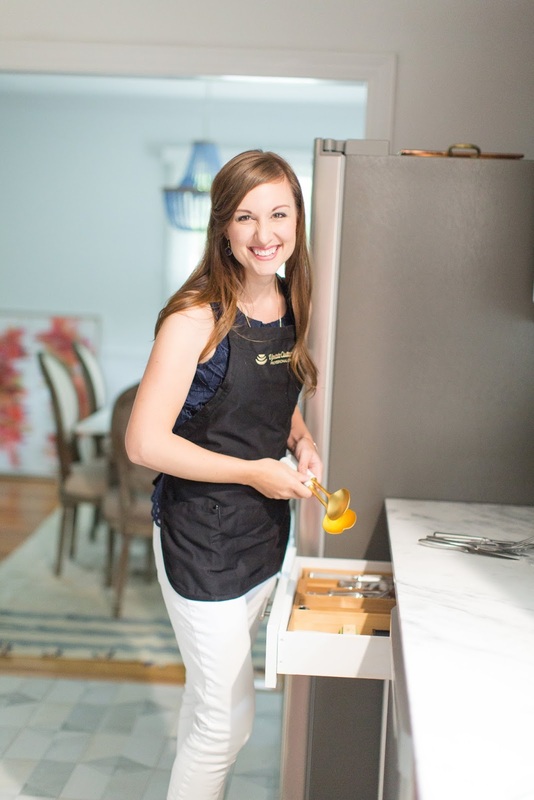 I wasn't even sure if Lauren would have an interest in a project like mine, but it turns out that not only does her team specialize in packing and unpacking from moves but she can also help you de-clutter for home staging, create storage solutions and an organization system to help you get through a move without wanting to pull your hair out. When Lauren walked in my door, she took one look at my crazy child running around in his underpants, my giant belly and our disaster of a house and told me to sit, that she would handle it. I can't think of anything else I wanted to hear more in that moment than those words. The photo above is the perfect representation of Lauren - she is bubbly, happy and playful even after hours (and hours) of unpacking entire boxes of pot holders, wedding gifts and Clemson themed paraphernalia. 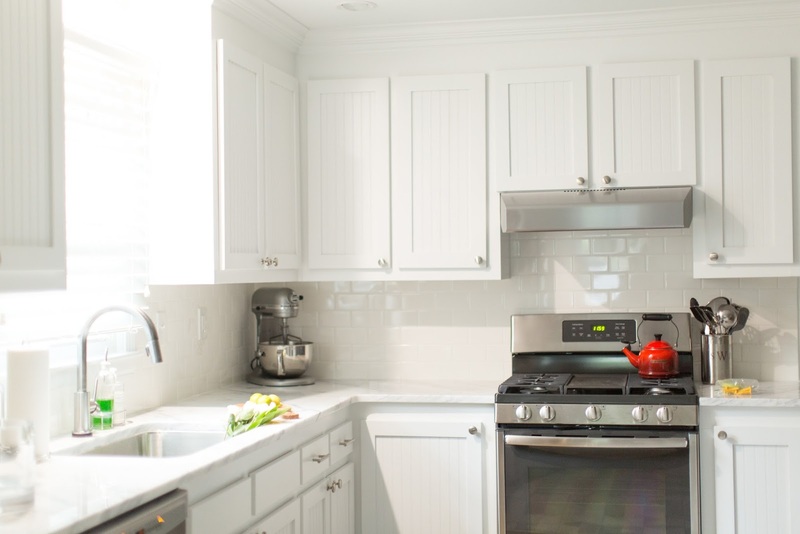 She organized, we purged and she laid out our kitchen in a way that is functional and met my family's specific needs (a bottle drawer for baby, a snack drawer for toddler, a candy cabinet for husband). Most importantly, she never judged, even when she discovered that I had four different packs of cumin and couldn't name a single recipe that called for cumin. Take us back to the beginning, what led you to start Upstate Clutter Coach? Upstate Clutter Coach completely took me by surprise. At the time, I was a stay-at-home mom of an infant and a toddler enjoying random play dates and endless amounts of tidying. One day, a fellow mom in the trenches called to say that she couldn’t make it out because she needed to stay home and clean her out-of-control house. Like good friends do, I threw all my cleaning supplies, kids, and snacks into the van. I was going to help her get her home back in shape while the kids watched endless amounts of TV. What could go wrong? As we cleaned, we were constantly interrupted, but not by the five kiddos. We were interrupted by the fact that the “stuff” around her home had no place to go. Cleaning wasn’t the problem --- clutter was. So instead of using our rags, we walked to different areas of the home evaluating the current storage systems. There was so many things that I wanted her to do differently, but my genius friend (who has two masters degrees) looked at me like I might be from Mars. What do you wish people knew about working with a professional organizer? 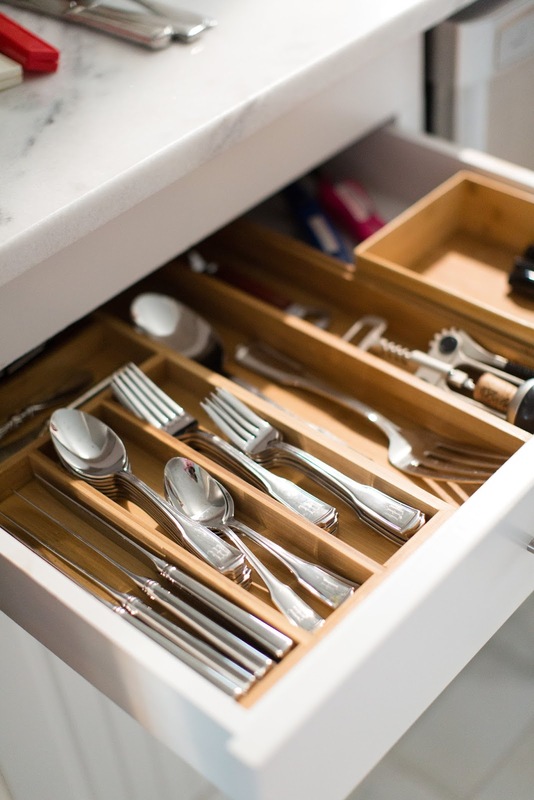 Working with a professional organizer is like working with a personal trainer for your space. We evaluate, plan, and then break a sweat to help your space reach its goals. Professional organizers know that the reasons for clutter are many and that every client’s situation is different. We aren’t here to judge our clients --- we’re here to support and empower them, whatever it takes. Some days the sessions go quickly and you feel like a champ. Other days are harder, because we’re working with items that have deep emotional ties. As your coach, it’s our job to help you make the hard decisions, to discover why systems aren’t working, and to provide the encouragement and direction you need to get the job done once and for all. Do you have a "classic client"? Who reaches out to you most often? 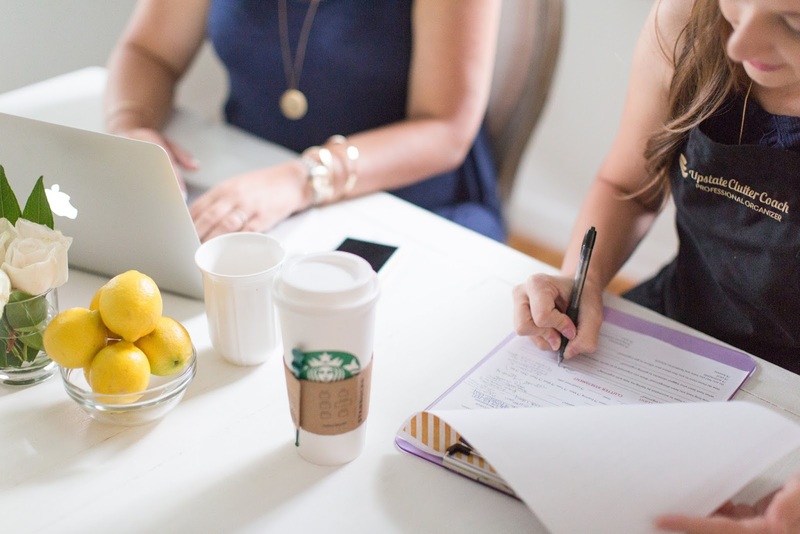 Our classic client is the busy mom --- the stay-at-home-with-little-ones, work-in-the-professional-world, and serve-tirelessly-in-the-community kind of mommas. Because their top priorities are the people they love, the needs of the home simply take a back seat. We all want to have the Pinterest-worthy homes, but that’s not reality. Real is never-ending laundry, dishes piled high, and boxes never unpacked from the last move. Professional organizers come into these messy places and do the problem solving that our clients just don’t have the time to do. Our expertise provides solutions, hope, and peace. What is your fave type of job to tackle? My favorite job is the “too much stuff” room. You know, the kind where you have to hopscotch to get across the floor and is always sealed off from visitors. When I work with clients on these spaces, a lot of decisions are made. We have to go through each item and evaluate why it’s been hanging out so long without being used, where it should go if it still has some life left in it, and how we can change our buying and storing habits to avoid this situation in the future. This is where life-long lessons are learned. This is where the real empowerment occurs. 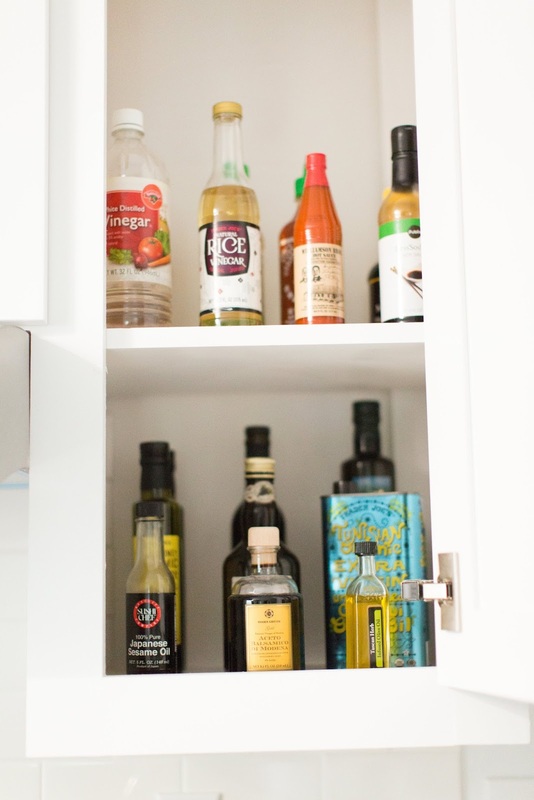 It’s more exciting than setting up a kitchen or reorganizing a pantry. These rooms are the hard, embarrassing spaces in my clients’ lives. Freeing them from their clutter strong-hold is like giving them a new lease on life. It reminds them that they are brilliant and bold even when their circumstances try to tell them otherwise; that they CAN conquer anything that comes their way. And who doesn’t love working a job like that?! When I started the business, I wanted something that would allow me to be a mom AND give back to my community. I schedule most of my organizing sessions while the girls are in school, so that I can be there for them as soon as their afternoon begins. Blogging, balancing the books, and learning about new strategies happens at night once they’ve gone to bed. I’m also not afraid to leverage my energy. As a mom, I’d love to be able to do it all, but I can’t. There is no shame in hiring a contractor to do what you COULD do if you had the time, energy, or desire to do it. I personally hate dusting so having a cleaning lady come once a month to pick up my slack is totally my jam. 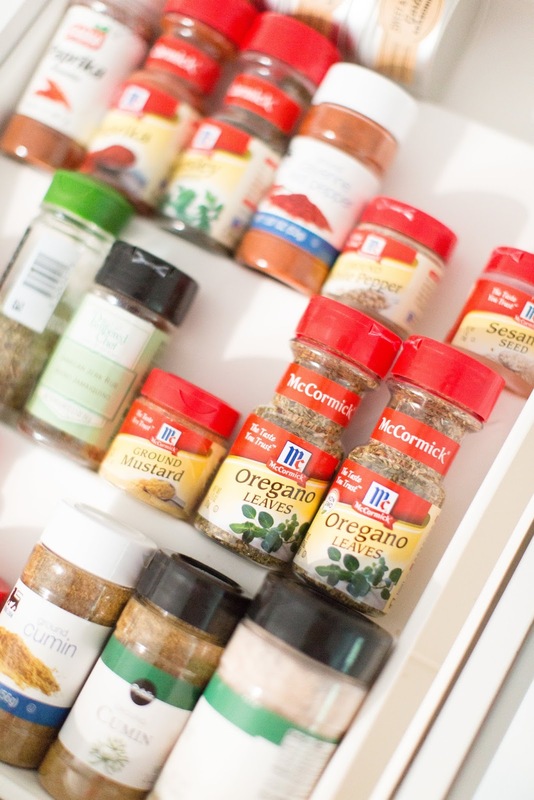 If you could share just one, what would be your best organizing "life hack"? Plan for a clutter-catch area. Life gets busy, especially if you have little ones running around sabotaging your every organizing move. 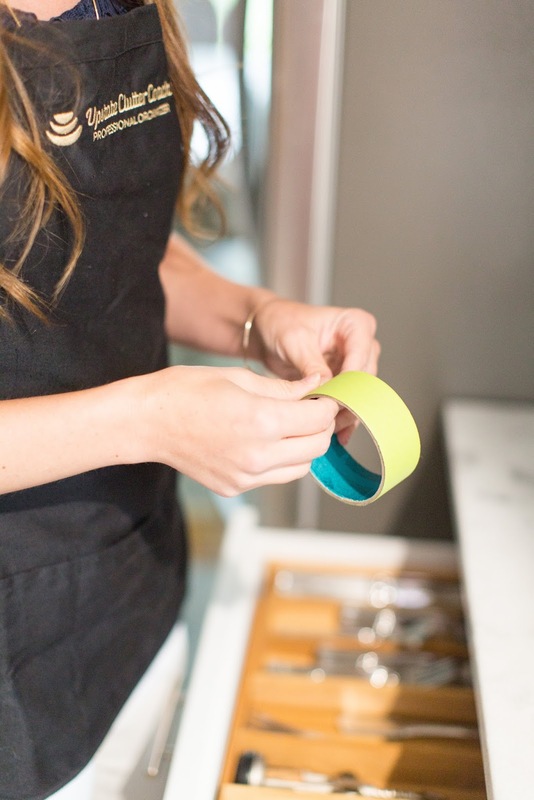 Since it’s nearly impossible to stop a twelve-month-old tornado AND keep your house clutter-free, designate an area that you’ll use to corral all the random clutter in a pinch. My favorite motive for the clutter-catch is the unexpected in-law visit. To avoid any drama, you’ve got to get the place straightened up pronto. 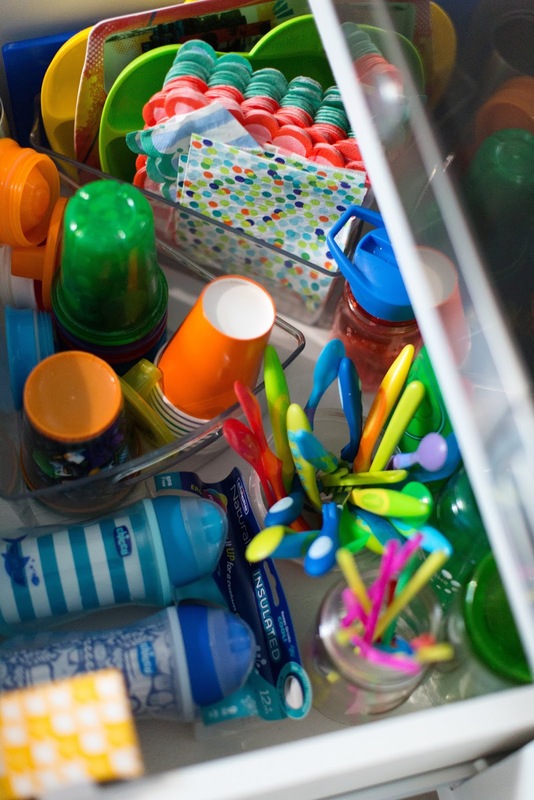 The clutter-catch can be an area of your pantry or laundry room that is ALWAYS empty for when the need arises to temporarily toss ALL THE THINGS out of sight. While it will be your most genius hack, you’ve got to remember to go back in there and return all the things to their proper homes once the unexpected visitors leave. If I wanted to become a professional organizer, where would you suggest I start? You’ll want to download my ebook Elements: What You Need To Launch Your Professional Organizing Business. It’s chock full of all the random things you’ll need to consider as an entrepreneur to DIY your company. Did I mention it’s the cost of us going out to coffee? You’ll also want to check out a training program that I personally had the pleasure of reviewing last year. ProfitableOrganizer. There are a lot of freebies that they’ll send you just for subscribing, but I’d recommend looking into their entire training program (affiliate link). When I DIYed my company, I invested countless hours on Google and YouTube trying to sift through what was and wasn’t important. Profitable Organizer does all that for you and chunks the information into bite-sized video tutorials. From learning how to organize to launching your own website, you’ll be glad you didn’t waste any unnecessary time getting your business off the ground. What is your best piece of advice for fellow girl bosses who want to launch their own business? Fear not. Fear will paralyze you in the what-if weeds. Instead, surround yourself with like-minded individuals who will be able to support, correct, and encourage your business from concept to production. You’ll never get everything 100% right. You won’t. You’ll make mistakes, you’ll waste resources, you’ll even screw up with clients. But all this is normal. And all of it is part of what creates a successful brand and business. Cast fear aside and jump in with both feet! Many, many thanks to Lauren for working with me and giving me peace of mind that I knew where the bottles were in case I went into labor. I am forever grateful! You can follow Lauren and The Upstate Clutter Coach on Instagram, Facebook, her blog and website. Serious kitchen envy! I am the same way about asking for help but sometimes you just really need to ask! You're super woman lady!